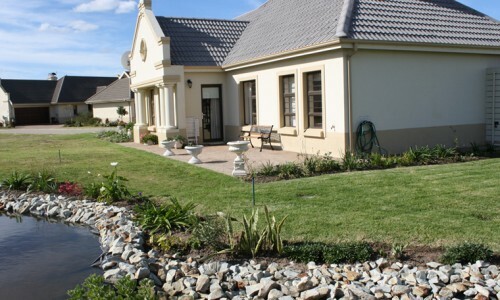 Blue Mountain Retirement Estate is located in George in a class of its own! 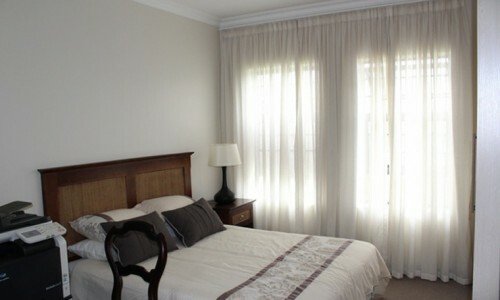 The development is located within a security estate which offers the residence double security and access control. 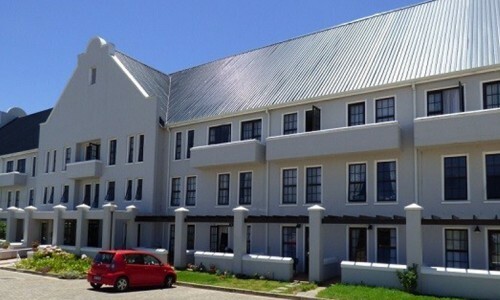 The Cape-Dutch architecture of this development blends in with the history surrounding George and overlooking the Outeniqua and Tsitsikamma Mountains. 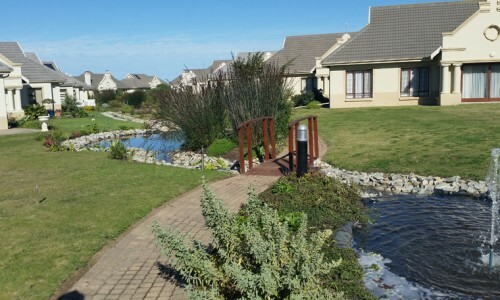 Best location in George close to all amenities, stone through away from the new Garden Route Shopping Centre, George Hospital only 5 min away, 15 min from airport, close to Victoria Bay, Herolds Bay and various golf courses (Fancourt Golf Estate – 18 holes. Mosselbay Golf Club, Dolphin Creek Golf Estate, George Golf Club). Free standing houses selling on full-title with one last free standing house (from Plans) still available and an existing clubhouse and exquisite gardens. Access to health services is included at an affordable rate. Maintenance of your garden is included in your levy, as is 24 hour security, including surveillance, patrols and a secure perimeter. 24-Hour access control with electrified fence. Frailcare and assisted living for the elderly if required in your own unit. Cleaning services, laundry and 15 main meals included in levy (more available on request). Only re-sales and rentals available from time to time. 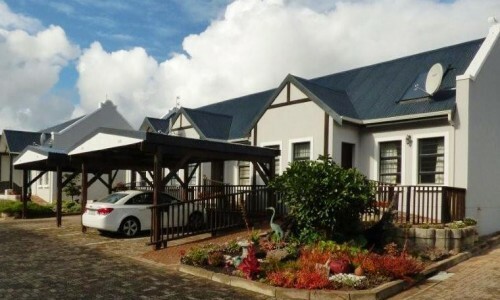 Blue Mountain Retirement Haven adjacent to Blue Mountain Estate offers a warm homely atmosphere where you can relax and live in the manner you are accustomed to. The Haven offers 24-hour security and access control. Well planned apartments with kitchenette and bathrooms, for the buyer who desires a carefree lifestyle. Meals, cleaning and laundry services are provided. First level care to terminal care for the elderly will be available in your apartment. Retire to the standard you deserve. 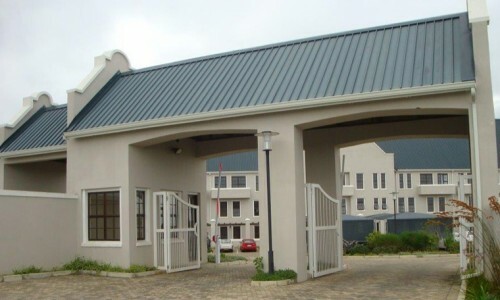 The overall aim is to administer to the physical, psychological, social and spiritual needs of residents in Blue Mountain Haven and Gables, enabling them to live their lives to the fullest as individuals and to enjoy as much independence as possible in a happy, safe and peaceful environment. The Haven also offers activities daily, including occupational therapy and exercises, movies, bingo, card games and arts &amp; crafts. The Haven operates a shuttle service to the mall three times a week and makes provision for weekly excursions. Hospital and clinic visits can be arranged at a nominal charge. Consists of 60 units. 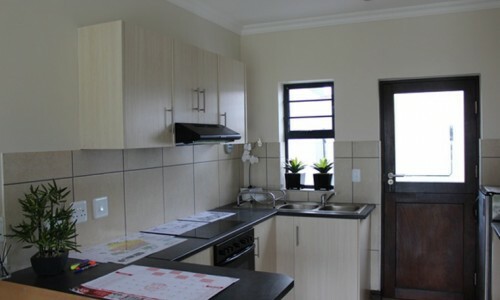 Bachelor, one bedroom units and exclusive apartments. Communal dining room and cosy lounge. Reading room. 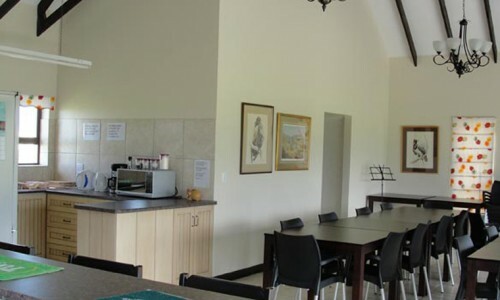 Entertainment areas with braai facilities. 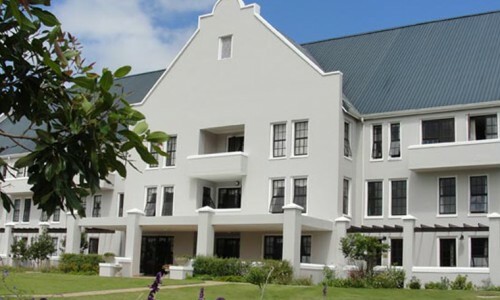 Nursing Sister visits – for The Haven and The Gables residents, the sister or staff nurse will visit the residents on a daily basis and assist with medication dispensing, compiling medical information, completing assessments and implementing the panic buttons. An exciting development, adjacent to The Haven, The Gables will consist of 37 well designed one-bedroom garden cottages. Construction of these fantastic cottages is under way and all units in Phase I and II have already been occupied. These cottages are exceptionally popular, with construction of the third phase having commenced in May 2017. All facilities on offer to Retirement Estate owners apply to The Gables owners, including membership of the Health Care Service provision. The cottages have been designed with comfort and convenience in mind and all doorways are wide enough to accommodate wheelchair users. The Gables are ideally suited to a couple or single person wanting their own space yet not wanting the responsibility of a large home or garden. From 1st level care up to assisted living in your own home. Frail care available in the adjacent full operational Blue Mountain Haven frail care facility. All houses are linked to the fully operational frail care centre with 24-hour qualified nursing staff on duty. Re-Sales and Rentals available from time to time.